Bella and her owner Janice Hansen from Southold attend “Yappy Hour” where dogs and their owners meet for beer and dog treats by Life is Grruff at Greenport Harbor Brewing Co. in Peconic. There are many things you can do with spent grain—the barley, oats, rye and wheat that’s left over after brewing beer. For starters, you can feed it to livestock or incorporate it into bread, cookies or other baked treats for humans or their pets. One local business is working with Greenport Harbor Brewing Company to do just that, creating delicious doggy treats out of beer brewing leftovers. 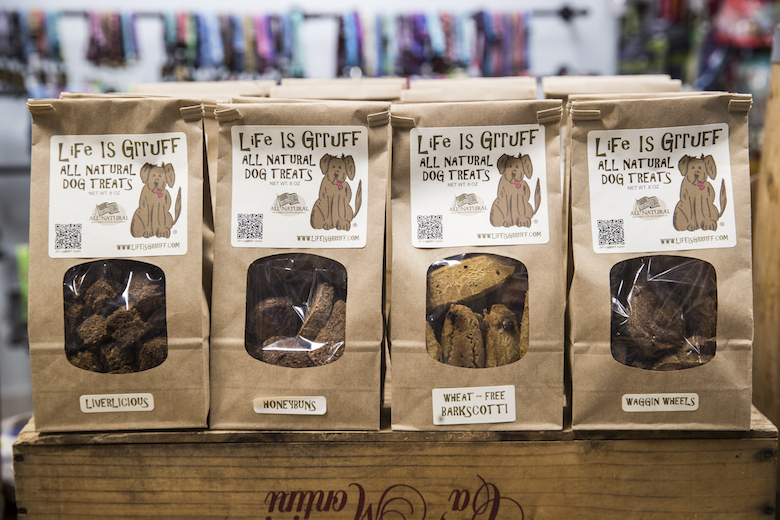 “We’re excited to repurpose a waste product and to collaborate with another local business,” says Kim Loper, owner of Harbor Pet and Life Is Grruff Bakery in Greenport. The Grrowlers dog bones also incorporate chicken livers and eggs and retail for $9.99 for an 8-ounce bag. 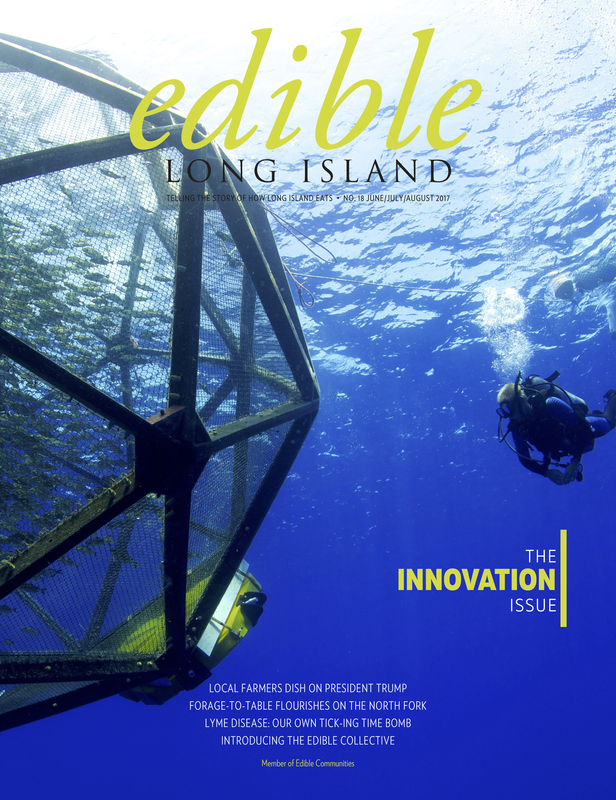 They’re available at the bakery in Greenport as well as at the brewery in Peconic. 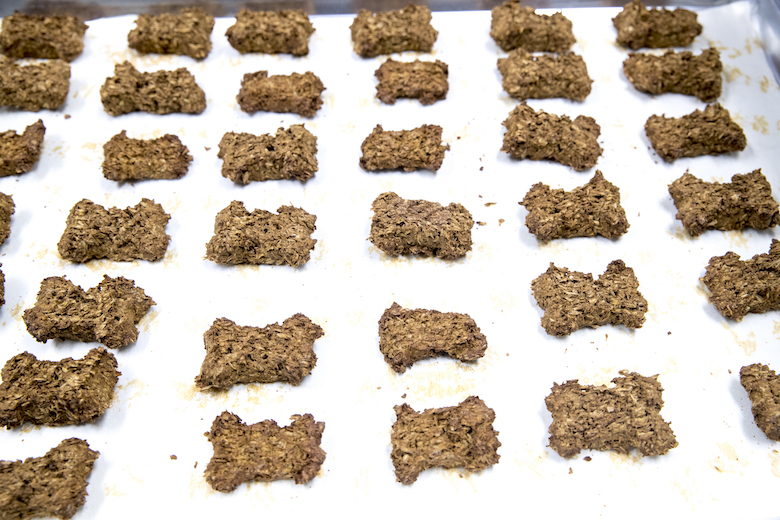 Loper has been baking dog treats for over 30 years. She started making them for her own dogs, for friends and to give away as Christmas presents. When her family’s nursery business in Center Moriches closed, she and her partners turned the nursery into a bakery and Life is Grruff was born in 2010. They sold wholesale as well as at farmers markets from Montauk to Great Neck. They bought Harbor Pet, an existing retail and grooming business on Front Street in Greenport, in 2014, and moved to their current location on south Main Street in 2015. The new space has room for the bakery, as well as daytime and overnight boarding. 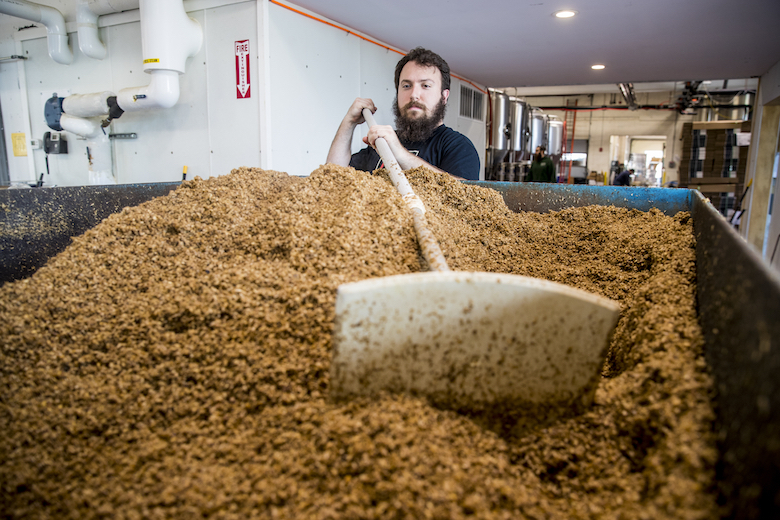 Ryan Bolk, a brewer at Greenport Harbor Brewing Company in Peconic spreads out the spent grains. 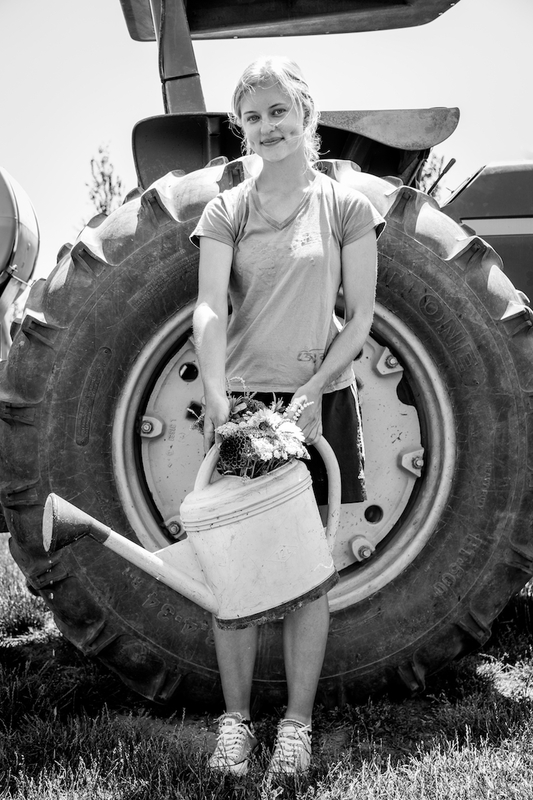 Loper first approached the owners of the brewery last year with her spent-grain bone idea, and Grrowlers launched in September, just in time for Greenport’s Maritime festival. 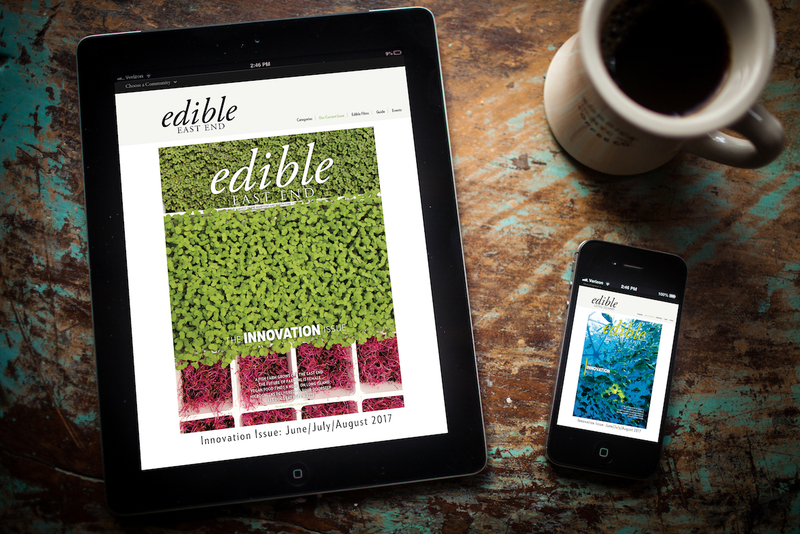 “It’s already become one of our top-five sellers,” she says. They used the local business community to help refine test batches, giving out samples at stores and restaurants in the neighborhood like First and South, the White Weathered Barn and One Love surf shop. From a 5-gallon bucket of spent grain, Kim can make 36 bags of bones. 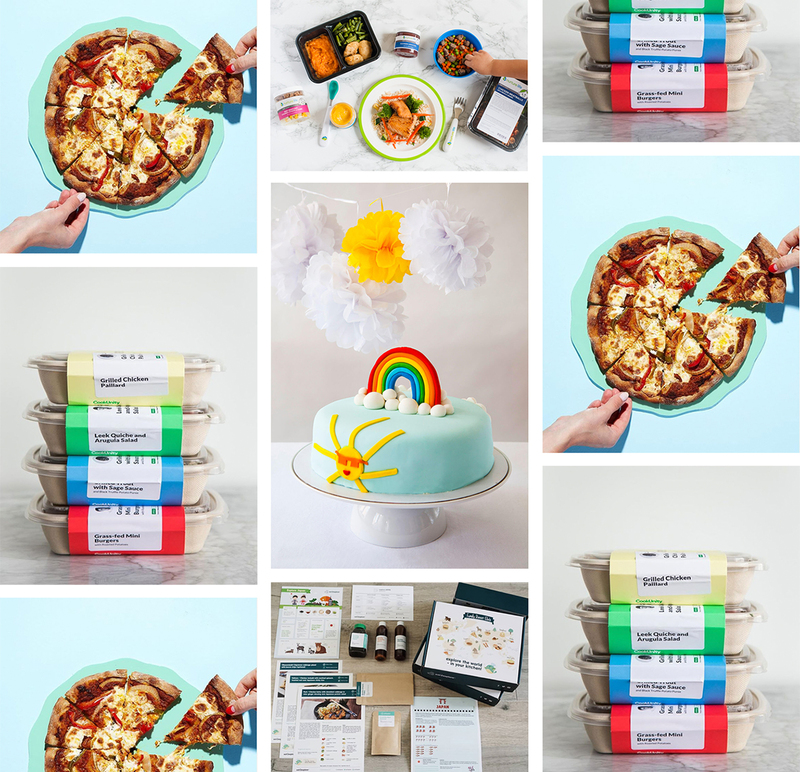 She plans to create a six-pack of seasonal, changing flavors, including pumpkin and ginger in the future. She may also make specific batches from spent grain from particular beers. 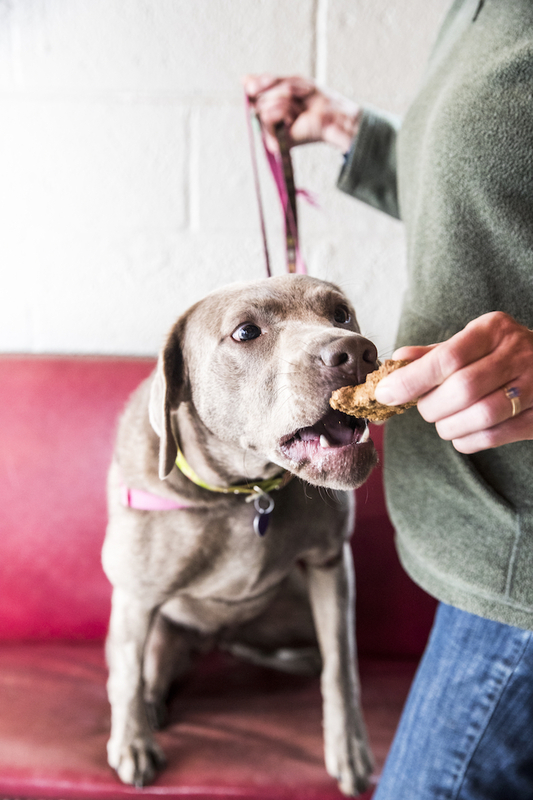 The collaboration with the brewery will also continue with monthly “yappy hours”—events during which guests are invited to bring their dogs to the brewery in Peconic to sample Loper’s treats. And she has. Now, for both humans and dogs, local beer is a treat.